These important parts of any AFV's equipment are often completely neglected by nearly all kit manufacturers. 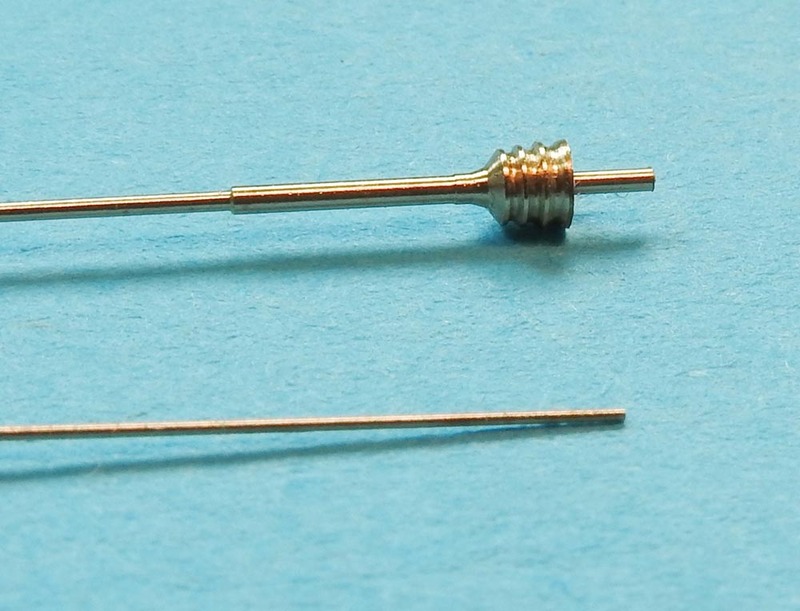 For those of you who would rather not fill antenna mounts with random lengths of wire or stretched sprue, what do you do? Here is our answer. 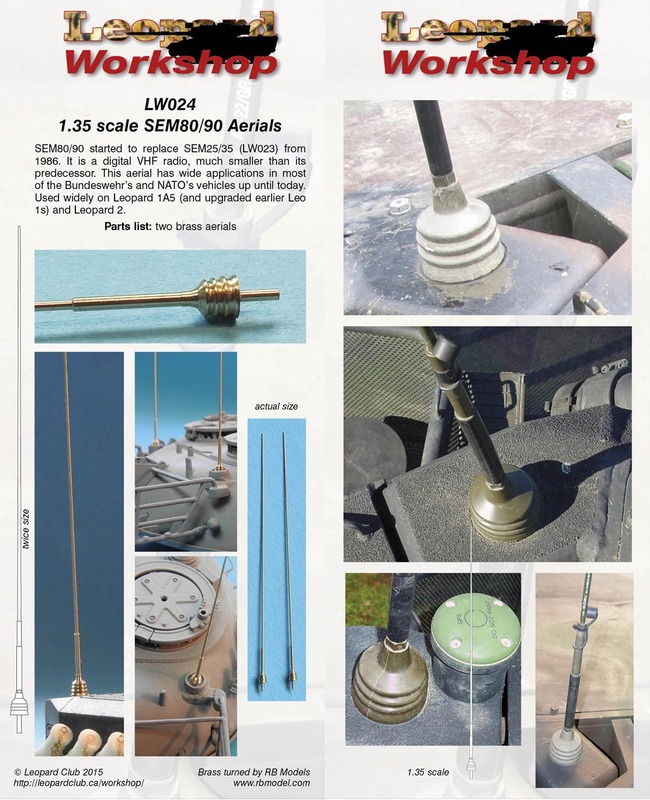 These turned brass aerials are literally the topping on the cake you have just completed. Why spoil the hours and hours of work you have just spent? Your model deserves the best. 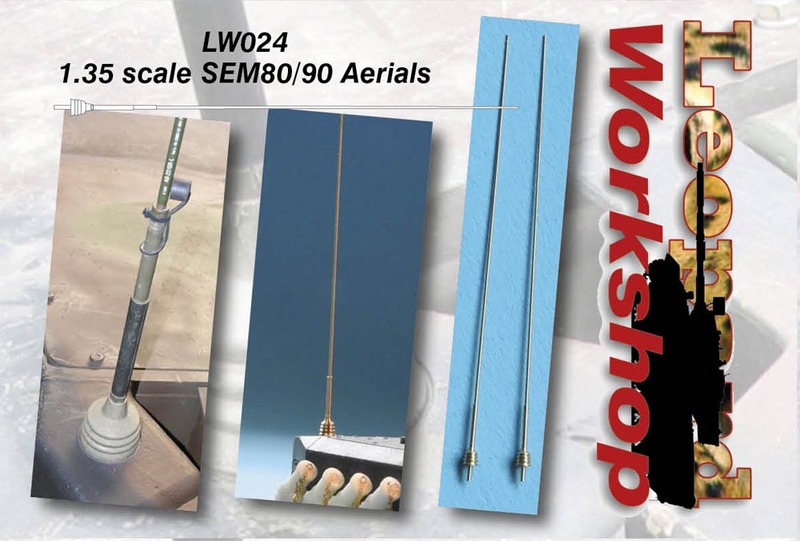 This set of aerials accurately depicts the antenna masts used on vehicles equipped with SEM80/90 radios. This started to replace SEM25/35 (LW023) from 1986. It is a digital VHF radio, much smaller than its predecessor. This aerial has wider applications in most of the Bundeswehr's and NATO's vehicles up until today. 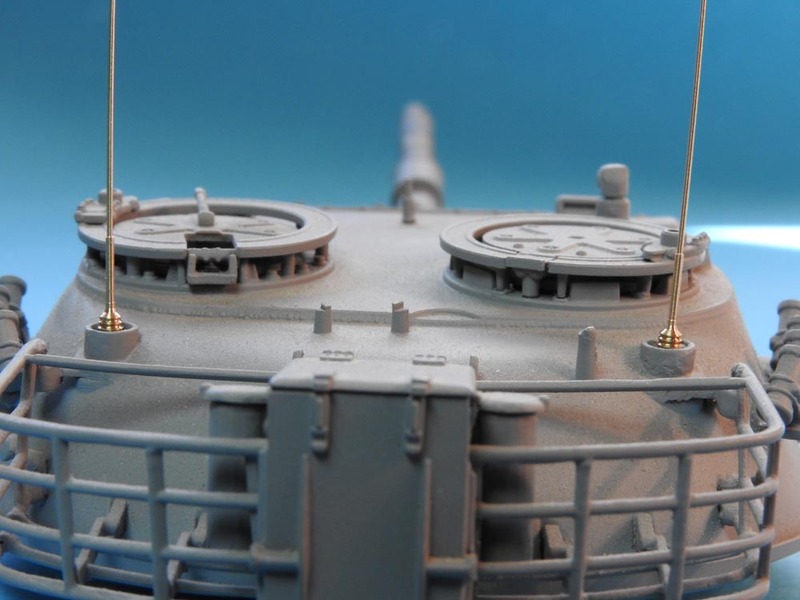 Used widely on Leopard 1A5 (and upgraded earlier Leopard 1A1, 1A2, 1A3 and 1A4) and Leopard 2.